Both the parsonage roof and the green room roof are leaking. The parsonage (where Jenny, Aaron, Isabella, and Wesley live) has some soft spots that indicate there is damage that will grow if we don’t fix it soon. It’s the original roof from when the house was built in 1970, so getting 48 years out of a roof could be considered a minor miracle. The Green Room (where coffee hour, Eagles Wings, and Senior Dinner occurs) has been patched and we can patch it again, but eventually we’d like to put a new metal roof on it. This roof has been in place since 2001 when the Green Room was added. We are trying to get this done before the next rainy season! While some of the offering and pledges that we give during the year support facility and ground maintenance costs, we have had some major expenses this year already. In April, we replaced the furnace system in the Green Room for just around $10,000. For this roof project, we want to see if we can raise the funds this year to address these growing concerns and not wait another year for more damage to occur. The ballpark estimate for the parsonage is $12,000 and the Green Room is $30,000 for a metal roof that lasts 50 years. Our process is simple. We do this just like we manage our own homes. We are currently getting several quotes and estimates for the work. We are also looking at a variety of options such as buying materials and getting some volunteers interested in doing the work this summer. Based on what funds we raise, we can make some informed decisions about what the next best steps are to be fiscally responsible and good caretakers of our building resources. We’ll keep you informed about the process through the weekly e-mail or by talking with a Vision Team member. 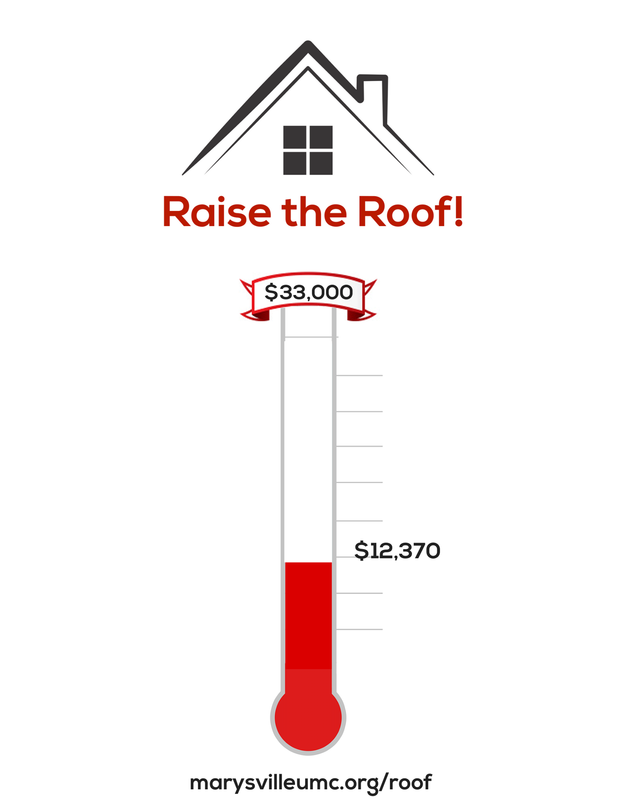 If you want to contribute to the Roof Raising, there are three ways to give. Drop a check in the offering plate on Sundays with “Roof” in the memo. Make a gift online. Select “Roof Project” from the pull down menu. Give by text. Follow instructions at the bottom of this page. We will be making the decisions based on the funds we raise in July, so please consider giving to this effort before July 1st! Questions? Contact Anne Rodeheaver at anne.rodeheaver@gmail.com or Jeff Clark at jeffsclarkmv@gmail.com.